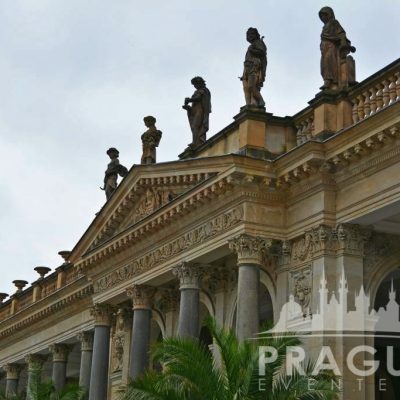 « Previous "Terezín Concentration Camp" | Next » "Segway Tour"
Most of the architectural landmarks of the city originate from the 18th and 19th century, when Karlovy Vary experienced its golden days. 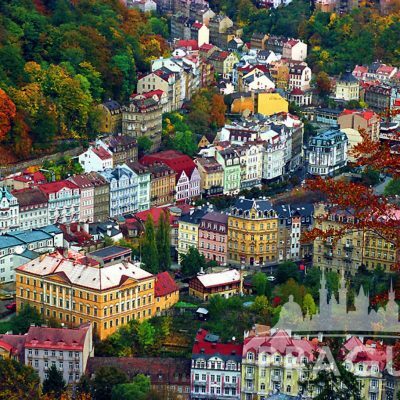 Among famous past visitors of Karlovy Vary are Russian tsar Peter the Great and poet Johann Wolfgang von Goethe, who both praised the healing effects of the mineral springs. 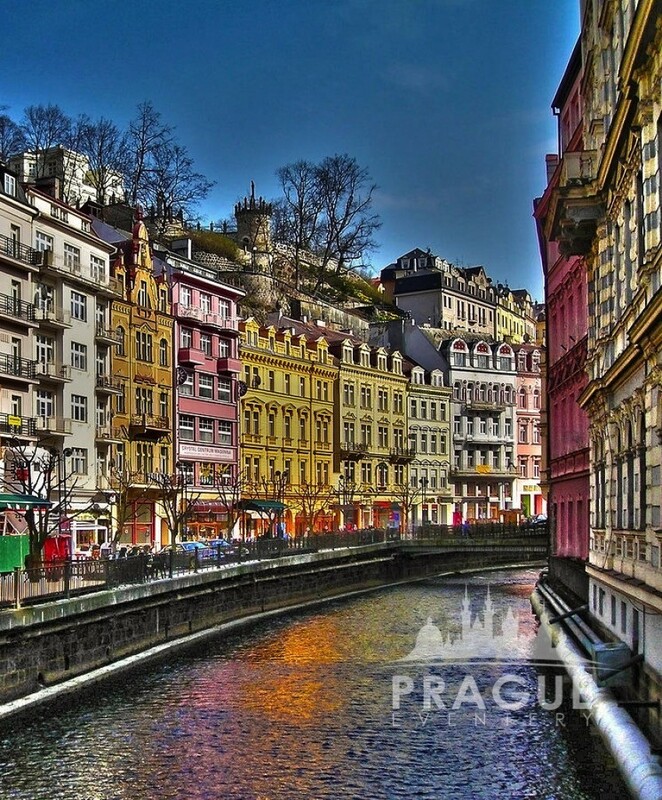 All of the 12 healing springs are free to taste in beautifully decorated colonnades set along the Tepla River and the largest and hottest spring belches its curative water to a height of 17 m. Splendid example of the colonnade architecture is the cast-iron Park Colonnade surrounded by greenery of the Dvořák Park or the Neo-Renaissance Mill Colonnade whose roof is carried on 124 majestic Corinthian columns. 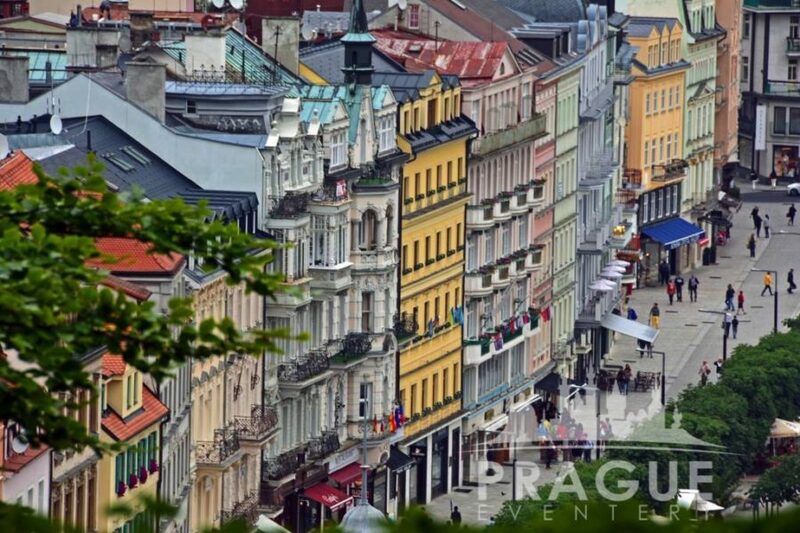 During your walk on picturesque boulevards and colonnades you can taste the traditional spa wafers as well as the well-known 13th spring of Karlovy Vary – the Becher liquor or Becherovka. This herbal liqueur was firstly produced in 1807 as gastric drops by Josef Becher and for more than 200 years, the exact mixture of ingredients had been kept in secret. 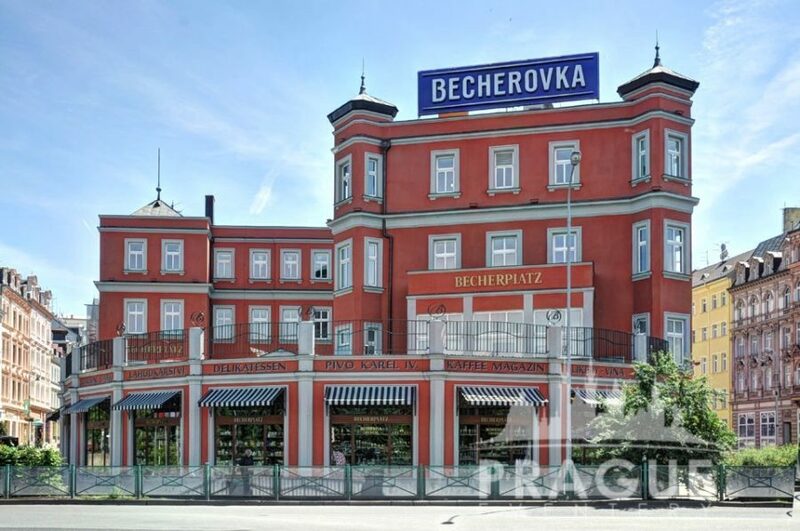 In Becherovka museum located in original factory, you will have the opportunity to explore the history of liquor manufacture. 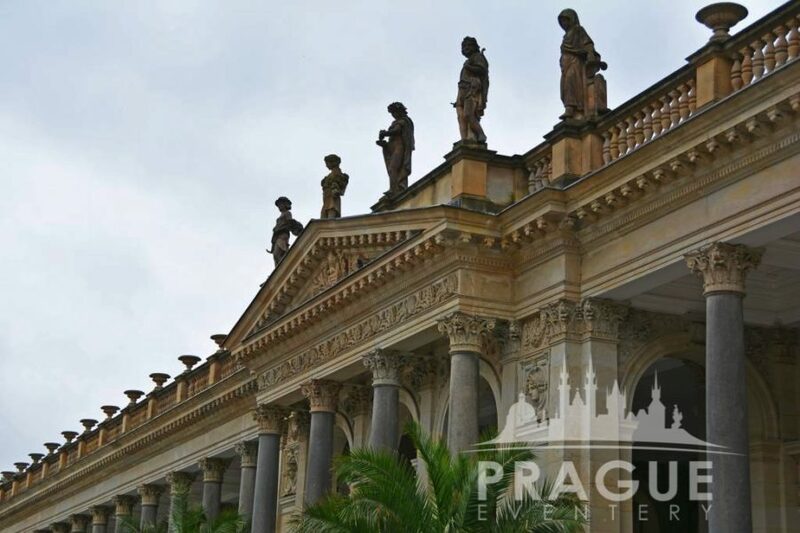 The third part of our tour will take you through the honourable history of the Moser Crystal Factory. You will see on your own a remarkable experience of glassmakers´ work in the glassworks and the perfect hand manufacturing of products, learn about their top quality and a unique talent of master glassmakers. The magic atmosphere when products are blown and shaped, the typical fragrance of burnt-out wooden moulds and the beauty of glowing mass will certainly be a strong experience. 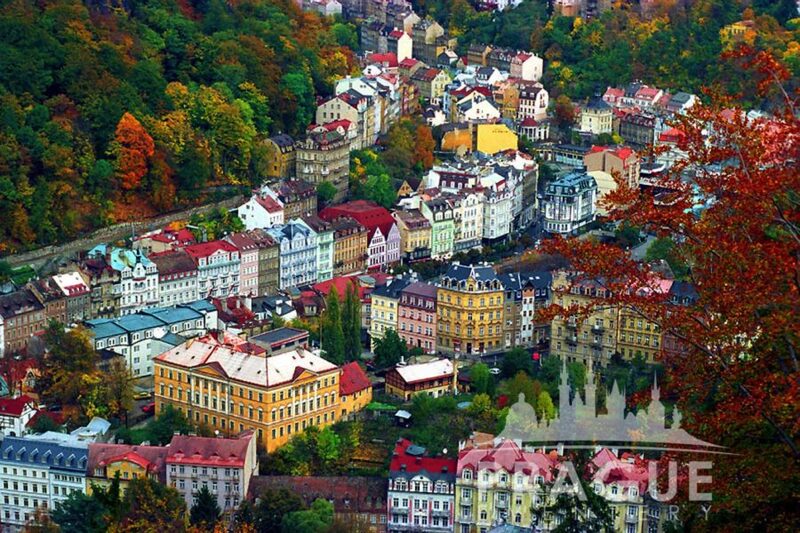 Karlovy Vary is located about 2 hours journey from Prague. 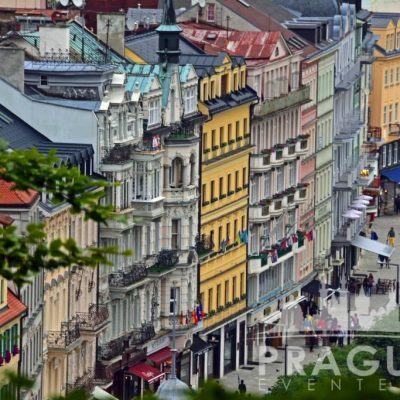 Managing an Event is a Science!